Glistening gold. Ornate crystals. A gentle glow. Can it get any more divine? 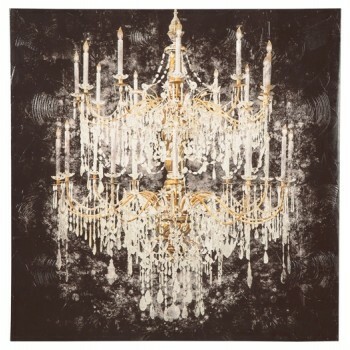 This canvas wall art truly epitomizes all that is “panache” with a breathtaking display of a grand Victorian chandelier. Its fanciful flair is fit for royals, like yourself.